Last Fall, Eric C ran across a passage in The Moon is Down that captured his thoughts so well, he just posted it straight up. The conclusions of The Ugly American (you can read Monday's review here) made me feel the exact same way. 1. I request that every American (and his dependents) sent to Sarkhan be required to be able to both read and speak Sarkhanese. I am satisfied that if the motivation is high enough, any person can learn enough of the language in twelve weeks so that he can get along. This should be required of both military and civilian personnel. 2. I request that no American employee be allowed to bring his dependents to Sarkhan unless he is willing to serve here for at least two years. If he does bring his family, it should be with the understanding they will not be given luxurious quarters, but will live in housing which is normal to the area; their housing should certainly not be more luxurious than they are able to afford in America. They should also subsist on foods available in local stores--which are wholesome and ample. 3. I request that the American commissary and PX be withdrawn from Sarkhan, and that no American supplies be sold except for toilet articles, baby food, canned milk, coffee, and tobacco. 4. I request that Americans not be allowed to bring their private automobiles to this country. All of our official transportation should be done in official automobiles. Private transportation should be taxi, pedicab, or bicycle. 6. I request that in our current recruiting program we make all of these conditions clear to any prospective government employee, so that he comes here with no illusions. It has been my experience that superior people are attracted only by challenge. By setting our standards low and making our life soft, we have, quite automatically and unconsciously, assured ourselves of mediocre people. Now, obviously some of these would only work metaphorically, and some would work literally. The important point is that at the time of printing, in 1958, these ideas were radical. They still are today. For example, virtually every Soldier spends an hour each day conducting physical fitness. Soldiers are tested twice a year in the Army Physical Fitness Test, and their results are put in evaluation reports, and rewarded with medals in some cases. Yet virtually no unit studies languages regularly, and testing for languages is voluntary, even with units about to deploy. Points 2, 3, and 4 don't apply directly, (no Soldiers or Marines bring their dependents to Afghanistan or Iraq) but the principle does. We deploy in relative luxury. We have access to DVDs, air conditioning, and some Super-FOBs have Burger King. Compared to the immense poverty of the surrounding countryside of Afghanistan, this is just insulting. If Afghan Soldiers can get away without AC, our Soldiers should. We should live like Afghans, the way insurgents, and good counter-insurgents, do. Overall, the demand for luxury is a loss of focus on the mission. Much has been made of General Stanley McChrystal’s spartan living habits in Afghanistan. I have a feeling this comes from an understanding that luxury like gourmet coffee, steak and shrimp dinners, basketball tournaments, and salsa night do not contribute to mission success. Which rule would you like to see America implement for better COIN? For me, number 5 was the most interesting. With the Cold War, developing a communist reading list was pretty easy. But unfortunately, we don’t have anything similar for Islamic extremism. Hrrm. Outside of the Quraan, I don’t know what we would read. Actually, it is more that most of the literature in the Islamic world isn’t researched as much, and hence not in compendiums yet. With time this problem will resolve itself as many veterans will have massive experience in the Arabic/Islamic/Afghanistan areas. 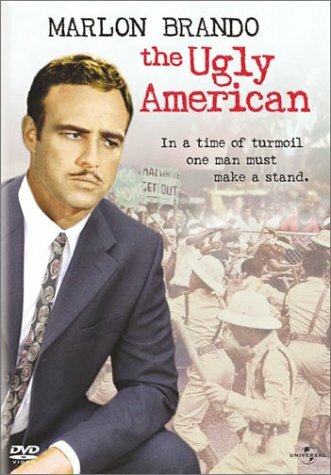 Also, I haven’t seen the Marlon Brando movie that was based on the novel, though I have heard it is not quite as good. 1. 3. 5. and 6. are the rules that should be implemented immediately. I am majoring in Middle Eastern studies for my bachelors and with that I will take courses on Arabic and Islam and of course courses on their political structure. So right there I’m trying to speak the language and know mine enemy. Now, it would be nice to have somewhere with nice treats like this for the front line troops to be able to access once in a while when they rotate back. For us, that was Camp Blessing and then when we got to Fortress and Joyce, it was Abad. We did not need luxury, and its why we all got so upset at Pops’ massive amounts of Any Soldier packages. One of the key tenents of counterinsurgency is to live among the people and as the people. Overall, with GEN McChrystal in charge, I think we are heading in the right direction, similar to those pointed out in The Ugly American.